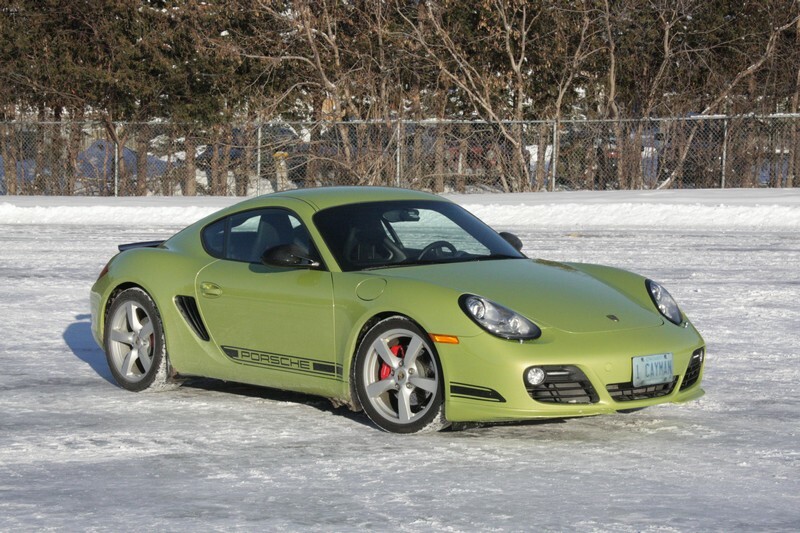 Despite bearing the name of one of the world’s most respected sports car manufacturers, the Porsche Cayman is arguably the car that best combines track-happy performance, day-to-day driveability and fuel economy. The Cayman S has a 320-horsepower engine and posts a zero-to-100 km/h time of less than five seconds, and yet boats fuel consumption estimates to rival some family sedans and an easy-driving nature well-suited to the rush-hour slog. It was a snowy, slippery January day, and I had to make a trip to the grocery store. 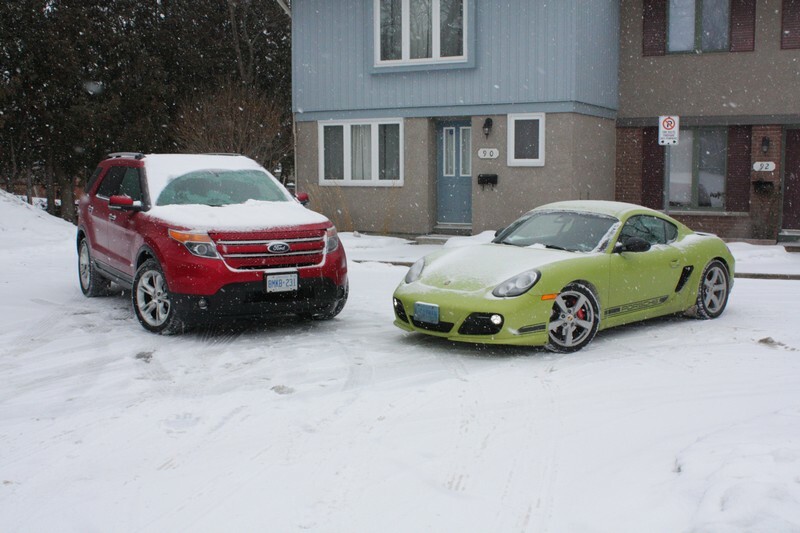 Here’s a photo of the two test cars I have right now; guess which one I took. Here’s a hint: it wasn’t the red one.